Falling Star ... Falling Star ...!!! This was from the night few moons ago when I was shooting the camelopardalis meteor shower. Clear nights are nice to shoot the milky way. But a little but if mist actuates and gives a good nice glow to the stars. 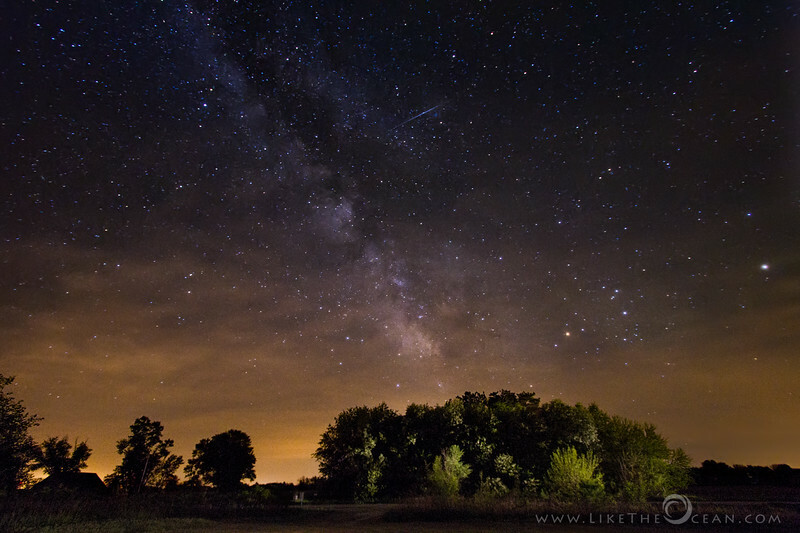 I love the Green River Wildlife Area for the night sky watching. It provides ample dirt roads and parking spots where you could set up base :) For this shot I set up the camera and decided to drive around and the set the car so the head lights could light up the trees !